With bright topical tones and deep sumptuous shades, you'll wanna throw these enticing colors in your suitcase and escape for an island getaway. 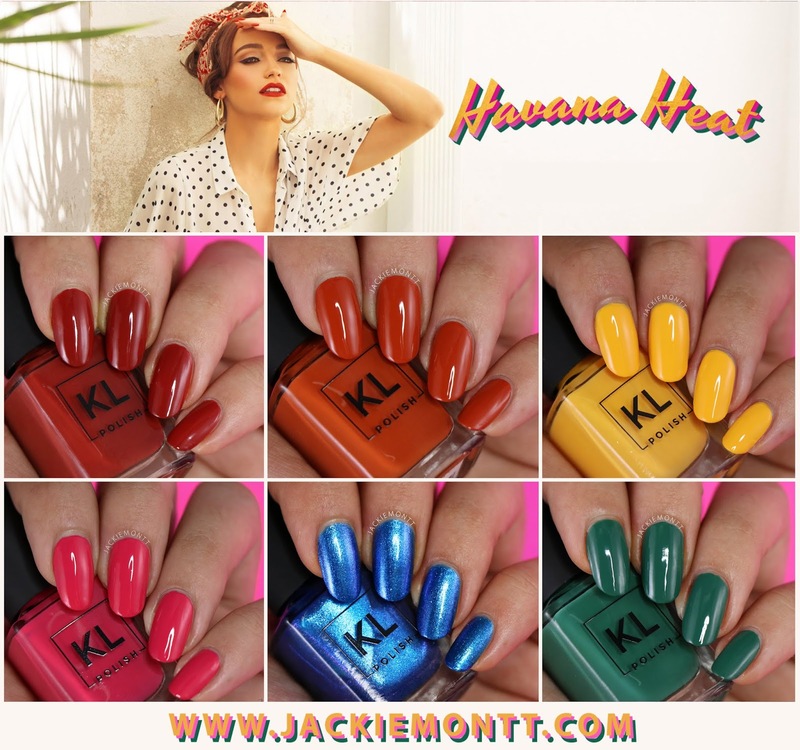 Hello lovelies, today I am thrilled to be sharing the KL Polish Havana Heat Collection! 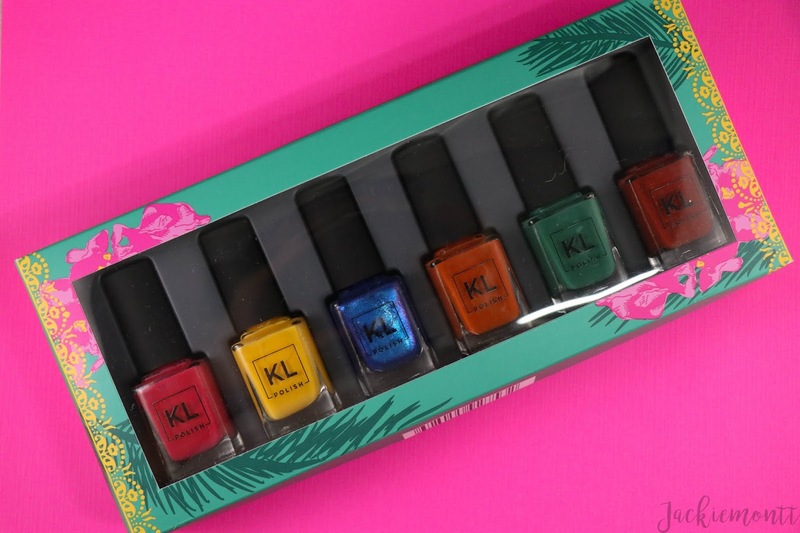 This is KL Polish's second summer collection, and this time around Kathleen has created a collection dedicated to her Cuban roots. 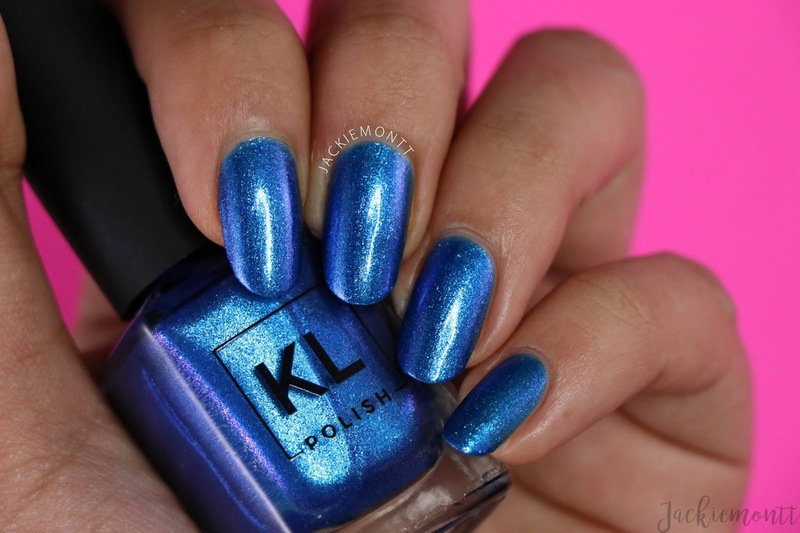 In this set, you get six all-new KL Polish shades: five creme shades, and one jelly shimmer shade. You can pick up this limited edition Havana Heat box set starting tomorrow for $45 plus shipping. I was so excited to see this collection, as someone who loves her foreign roots too, I love that Kathleen was able to create these polish inspired by Cuba. While initially, I didn't see how these were summer shades, but as soon as I saw them on my nails I was so inspired! CELIA | Celia is a bright pink crelly shade that definitely screams summer. This really reminds me of a ripe watermelon, and even though I don't usually go for shades like this I love it. This builds up nicely in 3 coats, but note that there is some minor staining. TROPICANA | Tropicana is by far my favorite shade in the Havana Heat collection! I am a real sucker for yellows, and this is such a unique shade. I truly have nothing like this orangey-yellow shade in my vast collection. Tropicana really reminds me of SunnyD, it's a tangy looking yellow-orange, maybe almost even neon looking. The pictures don't do it justice, but this took 3 coats to build upon me and was a bit streaky, but if you have shorter nails, you could get it in 2 coats. MATANZAS | Matanzas is a bright cobalt blue jelly packed with shifting glitter, from silver to blue, to magenta. 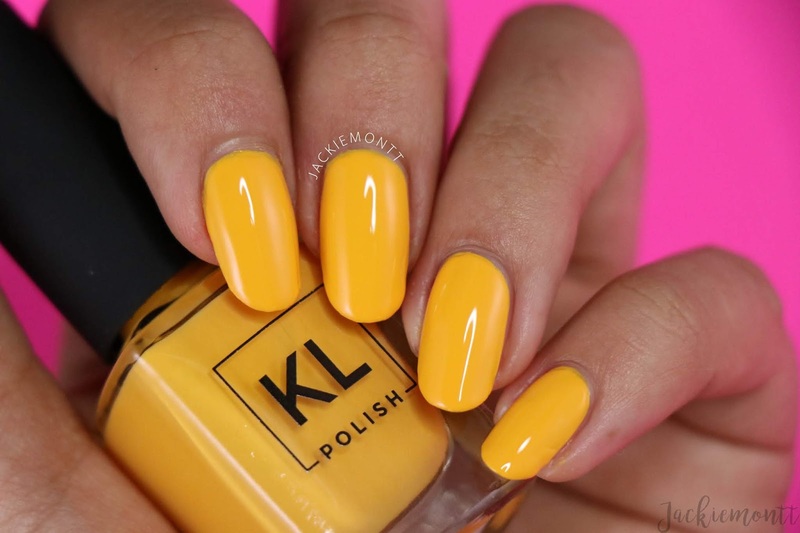 This is such a bright and beautiful summer shade, and I see this being my beach mani. I was so surprised to get this built up in only 2 coats. For a jelly/shimmer, that is pretty impressive. CHA CHA CHA | Cha Cha Cha is a gorgeous deep orange, almost rusty shade. The formula on this was so great, I almost had it opaque in 1 coat, but I did 2 coats for good measure. MOJITO | Mojito is a nice creamy green shade, not really a shade that I would consider a mint (although mint leaves are around this shade...) but I'd describe it as a mid-toned green. My camera had a hard time picking up the true color of this polish, so I had to edit it in photoshop to be more color accurate. This was 2 coats for full opacity. CUBANA | Last but not least is Cubana, a nice brick red with a crelly formula. This is a really beautiful shade that does remind me of Havana and the colors of Cuba. I got this opaque in 2 coats. I am so so soooo in love with this collection! All the shades are bright, vibrant and so fun for summer. I love how pigmented all these polishes are, and how unique the colors are for a summer collection. I have a lot of nail polish, and a good number of these are unique to my collection. I think if you are at all interested, you should definitely pick these up. 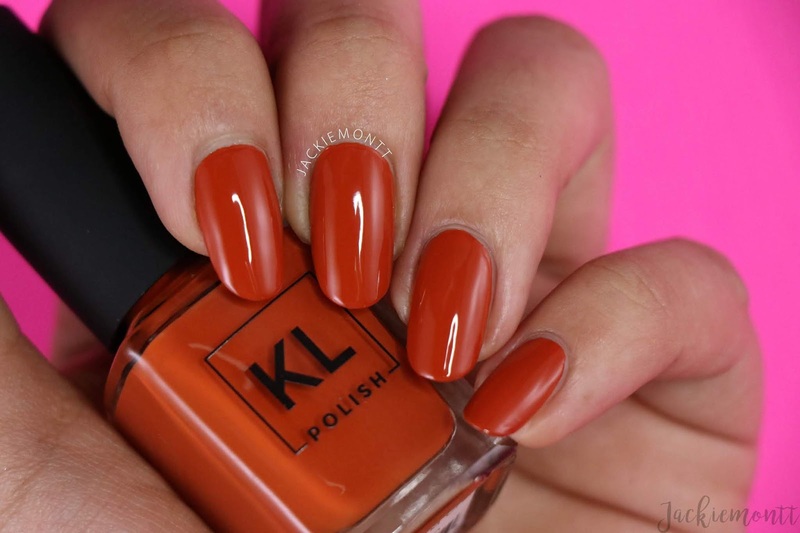 The KL Polish Havana Heat collection is a home run for me! Would you pick up any of these? Let me know your favorite down below!